After months of infighting between Republicans representing different regional economic interests, the Environmental Protection Agency Thursday finally rendered its ruling on how much renewable fuel is required to be mixed into the nation's transportation fuel supply. The outcome: No one says they're happy. And as that old adage goes, that might be a sign of a good compromise — at least politically, that is, for President Trump, whose administration is forced to balance the competing desires of farm- and petroleum-state Republicans in its decision. With Trump's election, the oil and gas sector saw its first opportunity in years to upend the status quo in which the EPA steadily raised targets compelling refiners to add renewable fuels derived from corn, soybeans and other agricultural products to gasoline and diesel sold to consumers. Even though in 2016 Trump campaigned in Iowa, the buckle of the nation's Corn Belt, and elsewhere on the promise of supporting corn-based ethanol, the selection of Scott Pruitt of Oklahoma ,from the heart of oil and gas country, to run the EPA buoyed the hopes of the fossil-fuel industry they could successfully press for changes to the so-called Renewable Fuel Standard. But it wasn't to be. Under pressure from Sen. Charles E. Grassley (R-Iowa) and others threatening to block EPA nominees, Pruitt committed in October to making changes biofuel producers felt would undermine the RFS. In a final rule issued Thursday, Pruitt followed through by keeping the mandate for conventional renewable fuels, like corn-based ethanol, steady at 15 billion gallons for 2018. It was a rare rebuke for the oil and gas sector, which has scored a series of deregulatory wins under Trump. 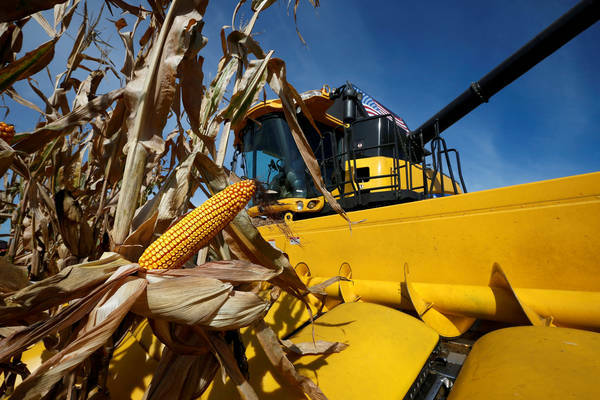 “The Renewable Fuel Standard is broken and needs comprehensive reform,” Frank Macchiarola, downstream director for the American Petroleum Institute, said after the decision. "Administrator Pruitt, therefore, faces the daunting task of implementing a broken program that was based on incorrect assumptions made over a decade ago." Chet Thompson, president of another oil and gas trade group, American Fuel and Petrochemical Manufacturers, was even more to the point: "It appears that EPA did exactly what Senator Grassley demanded, bowing the knee to King Corn." The New York Times called the decision a "Score... for Corn." Bloomberg News labeled the decision a "Reward" for Iowa. But Grassley, at least in his public statement, wasn't celebrating. Simultaneously, the EPA didn't give in to the demands of advanced biofuel producers for raised targets. Shortly after the EPA announcement, the senior Iowa senator said in a statement the "renewable volume obligations fall short of the full potential of the U.S. biofuels industry," singling out "the lack of increase for biodiesel levels and the cut in cellulosic level requirements." Why is that? Because the RFS is set annually, and no side wants to appear satisfied with this year's results lest it undermine next year's lobbying efforts. --Monuments, minimized: President Trump intends to shrink Utah’s Bears Ears National Monument by 85 percent and Grand Staircase-Escalante National Monument by half, The Post’s Juliet Eilperin reports. Documents obtained by The Post reveal the sites will be shrunk even more than administration officials previously signaled. There's more: After it's all over, it appears the monuments won't even go by the same names. Eilperin reports: "Grand Staircase-Escalante would be split into three areas known as Grand Staircase National Monument, Kaiparowits National Monument and Escalante Canyons National Monument. 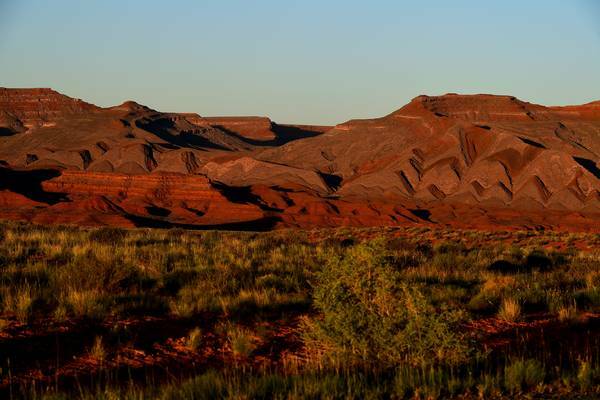 Bears Ears will be divided into Indian Creek National Monument and the Shash Jaa National Monument, the latter of which will include two well-known ruins, Moon House and Doll House." -- GOP bill cutting spending repeals water rule, too: Both House and Senate Republicans have inserted language into spending bills aimed at blocking legal challenges to the Trump administration’s effort to repeal the so-called Waters of the United States (WOTUS) rule. The 2015 rule granted two federal agencies, the EPA and U.S. Army Corps of Engineers, broad leeway in regulating activities that could affect streams and tributaries. Republicans, including Pruitt as Oklahoma's attorney general, challenged the rule in federal court and made repeal a priority. Now, they appear intent on blocking that same path for environmentalists interested in suing the Trump administration as it repeals the rule. 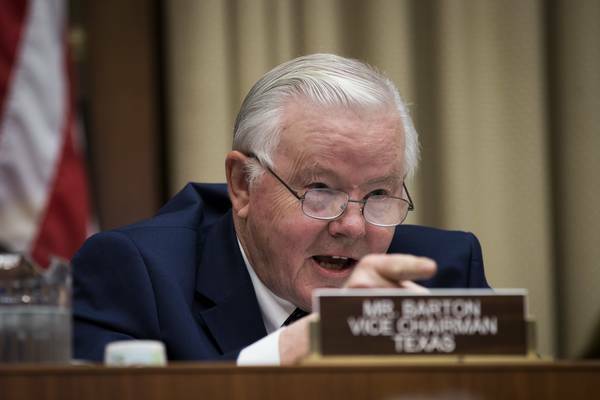 -- Rep. Barton is retiring: The longtime Republican congressman announced on Thursday he will not seek reelection in 2018. Before making headlines for his extramarital relationships with multiple women before his 2015 divorce, the lawmaker from the Dallas-Fort Worth region was perhaps best known as "the Republican who apologised to BP," as The Guardian put it in 2010, after the Obama administration pressured the oil giant to pay $20 billion into a fund for victims of the Deepwater Horizon spill. As then-ranking member of the House Energy and Commerce Committee, Barton told BP chief executive Tony Hayward at a spill hearing: "I'm ashamed of what happened in the White House yesterday. I think it is a tragedy in the first proportion, that a private corporation can be subjected to what I would characterize as a shakedown... I'm only speaking for myself. I'm not speaking for anyone else, but I apologize." The Obama administration quickly seized upon the statement, and fellow Gulf Coast Republicans were forced to distance themselves from Barton. 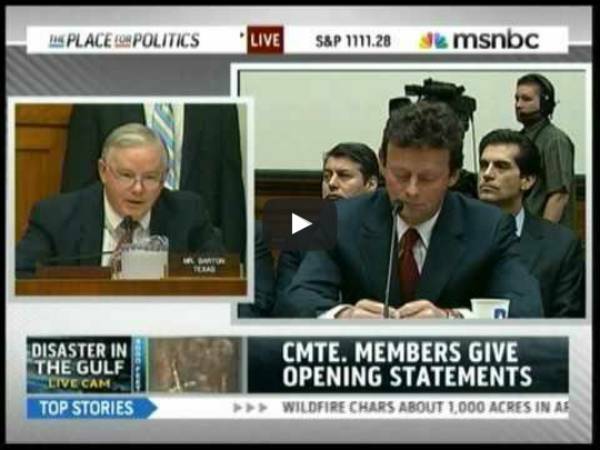 The day after the hearing, Barton apologized for his apology to BP. -- Here's Don Blankenship's first television ad: After announcing his candidacy for U.S. Senate in 2018, the former West Virginia coal executive came out of the gate with a vigorous defense following his conviction in 2015 of conspiring to violate mine-safety rules. 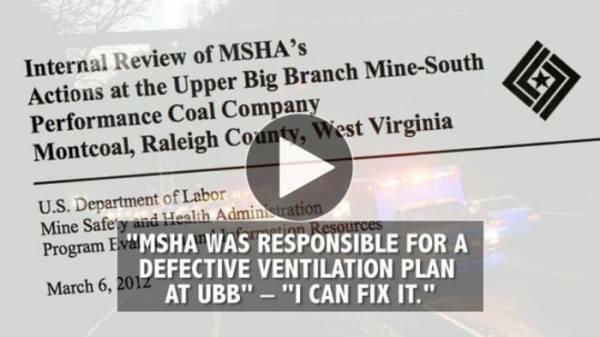 “Obama’s deadliest coverup has been uncovered by MSHA’s own documents," the ad intones, referring to the Mine Safety and Health Administration and attempting to link Obama to Sen. Joe Manchin III (D-W.Va.). 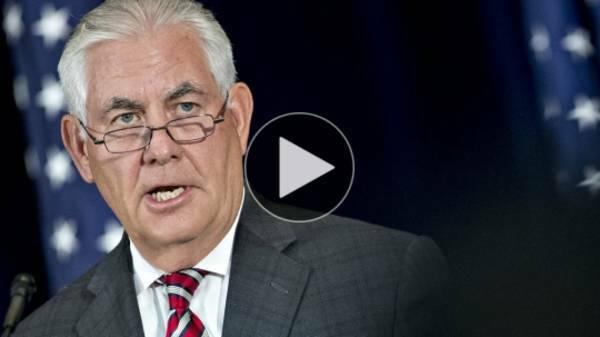 -- "Rexit" watch: Both The Post and The New York Times reported Thursday the White House is readying a to oust Rex Tillerson's from the State Department. What will that mean for energy and environmental policy once the former ExxonMobil chief executive is out of government? 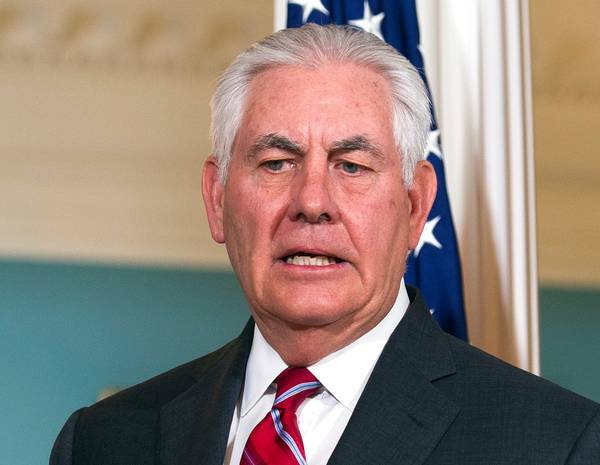 Strangely enough, as Jean Chemnick and Hannah Northey at E&E News point out, it would likely mean the emergence of climate skepticism at the State Department. CIA Director Mike Pompeo, waiting in the wings to take the reins at State, would "bring a careerlong skepticism of climate science with him to Foggy Bottom," E&E News reports. During his confirmation hearing, Pompeo said the Obama administration's conclusion that climate change is a national security threat was "ignorant, dangerous and absolutely unbelievable." 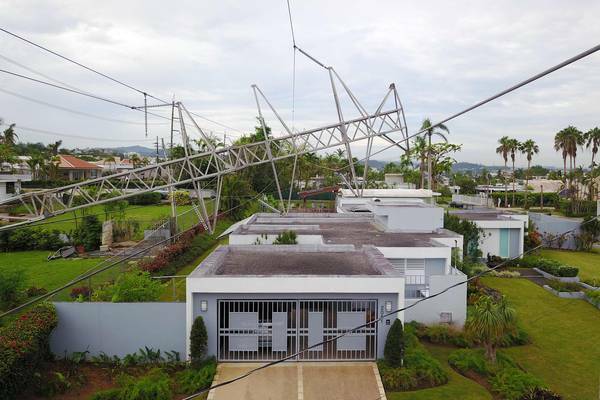 -- The Atlantic hurricane season from hell is finally over: In all, 17 named storms raked across the Atlantic Ocean basin, report The Post's Brian McNoldy, Phil Klotzbach and Jason Samenow. Ten of them became hurricanes. Six of them were "major," rating Category 3 or higher. And of course, three earned rounds of headlines of the destruction they exacted -- Harvey, iram and Maria. -- California's forest fire season was hellish, too: In fact, according to Vox's Umair Irfan, "California’s ongoing wildfire season is now the worst ever for the state." The state's firefighting agency, the California Department of Forestry and Fire Protection, declared "California's 2017 wildfire season was the worst on record," according to Capital Public Radio, in terms of acreage burned on land controlled by CAL FIRE. "Now, overall, throughout the state, when you include also U.S. Forest Service land and other local areas, it's definitely not the worst, but it's one of the worst," CAL FIRE spokeswoman Lynne Tolmachoff told the radio station. The House Appropriations Subcommittee on Transportation, Housing and Urban Development and Related Agencies holds a hearing on HUD and community block grants for disaster recovery. EPA head Scott Pruitt is set to hold a town hall in Nevada, Iowa. The House Natural Resources Subcommittee on Water, Power and Oceans will hold a legislative hearing to review the extension of endangered fish recovery programs on Dec. 6. Is Rex in or out? Here's what he's done during his short time at the State Department. 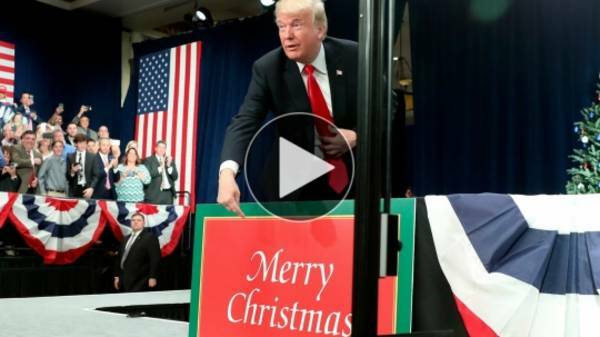 Trump worries that Americans don’t say "Merry Christmas:"